In its latest assessment of Canada's financial health, the central bank said the most indebted borrowers tend to be under 45 years old and usually earn less money, which puts them more at risk in an economic downturn. The bank's semi-annual financial system review was released as the economy struggles to build momentum after contracting over the first two quarters of 2015. The lack of economic growth early in the year was largely due to the sharp tumble in commodity prices. The Bank of Canada, which lowered its trend-setting interest rate twice in 2015 to cushion the blow of the resources slump, projects the economy will strengthen with lots of help from improvements in the United States. In the meantime, Canadian borrowers have helped carry the load and, as a result, the key vulnerability of household debt has continued to rise. The bank said, however, that while income growth has failed to keep pace with mounting mortgage credit, the chance of household debt becoming a serious problem remains low and is likely to fade as the economy picks up steam. It added that so far there has been little evidence of significant increases in delinquency rates. Still, the report contained numbers that show the proportion of households in the shaky position of holding debt higher than 350 per cent of their gross income has doubled to about eight per cent since the 2008 financial crisis. The increase is mostly due to the extended era of low interest rates. Meanwhile, the share of Canada's household debt held by these higher-risk borrowers has risen to 21 per cent or close to $400 billion from a pre-crisis level of 13 per cent. These households tend to be in British Columbia, Alberta and Ontario. 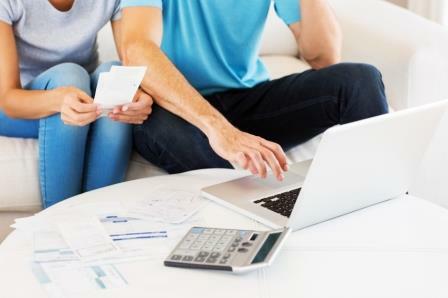 The likelihood that a household would be unable to make its debt payments following an adverse economic event increases significantly when its debt reaches above 350 per cent of gross income, the bank said. Those vulnerabilities have continued to edge higher, Bank of Canada governor Stephen Poloz said. "What we've suggested all along is that there were emerging pockets of concern," Poloz told reporters Tuesday in Ottawa after the document's release. The bank's report also pointed to potential weak points in the financial system caused by conditions like soaring house prices and risks such as a severe recession, a spike in unemployment and a prolonged period of low commodity prices. When it comes to the threats posed by higher housing prices, Poloz credited the federal government for its recent decision to tighten mortgage-lending regulations on properties in an effort to cool overheated markets in places such as Toronto and Vancouver. Last week, Finance Minister Bill Morneau announced that starting Feb. 15, 2016, homebuyers will have to put a 10 per cent down payment on the portion of the price of a home above $500,000. Anything under $500,000 will still only require a five per cent down payment. "The good thing is that the system is such that there are things that you can do which address the pockets as opposed to doing something blunt that might affect everything," Poloz said. After the release of the bank's report Tuesday, Morneau said the government was not considering any other measures to deal with the real estate market or consumer debt. "We'll stay closely focused on the housing market and pay close attention to Canadians' level of indebtedness and if there's anything else that we think is the right thing to do, we'll come back to Canadians with that information," Morneau told reporters in Ottawa. "This is the time of year when people tend to spend money, so we will pay attention."